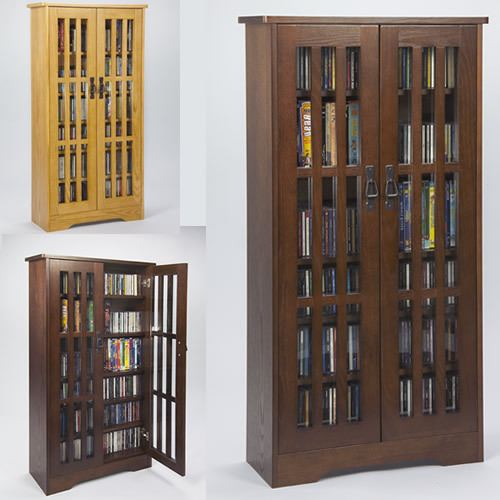 The Retro design librarian cabinet will hold a variety of your media collection. 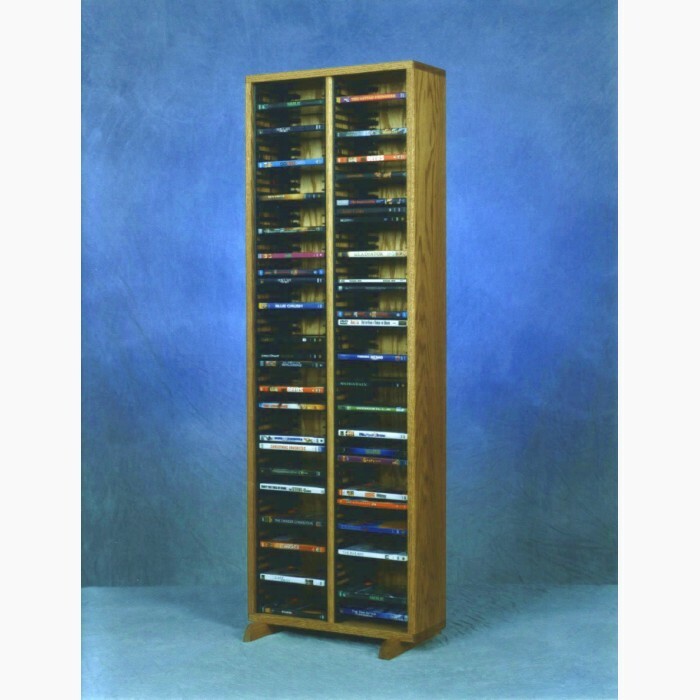 Handcrafted from top quality oak, this stylish cabinet will keep your collections safe and dust free while affording you the ultimate style. 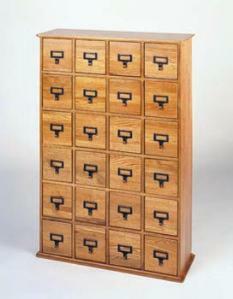 Each drawer is finished with vintage style handles and comes with drawer labels to keep you organized. 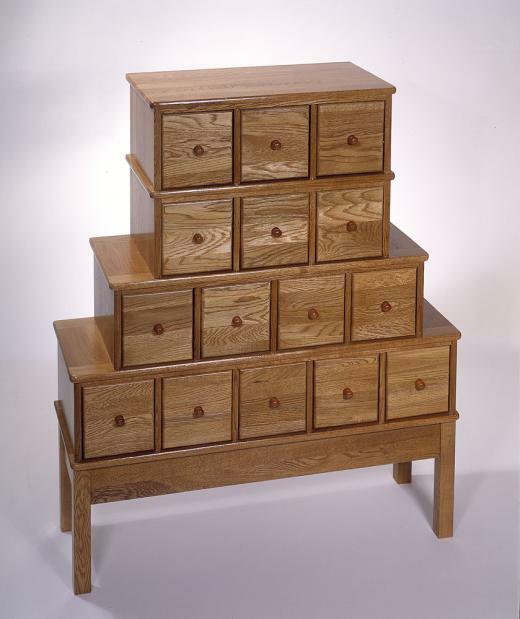 Inner drawer dimensions 5 3/4" H x 5" W x 7 1/2" D. Available in the following finishes: oak, cherry, espresso or walnut. Fully assembled. Capacities: 456 CDs. 192 DVDs. 96 VHS Tapes. Dimensions: H 39 1/2" X W 27 1/8" X D 9 3/8"